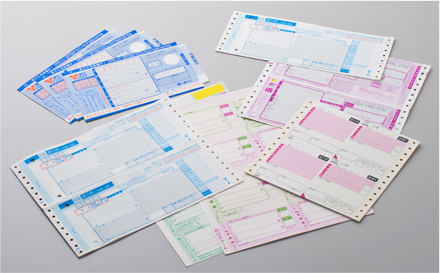 Sticker for delivery slip | Self-adhesive paper | Our Products | Oji Tac Co.,Ltd. Thin, high-quality paper base sticker with a basis weight of 35-45 gsm woodfree paper. Its excellent carbon receiving ability when placing several sheets together make it ideal for delivery slips. Excellent printability, and carbon receiving ability.